Your baby will have many firsts as soon as he or she is born. Your son will enjoy his first car ride, your daughter will experience her first car ride, and all babies will enjoy their first night at home in their very own cribs. The My First Mattress memory foam crib mattress is perfect for the occasion as it offers up all of the comfort and safety features you expect from your baby’s crib. Materials: The mattress consists of CertiPUR-US flexible polyurethane foam with a washable and waterproof plush velour cover to keep your little one comfortable and warm. Sizes: The product measures 51 5/8 inches by 27 1/4 inches with squared-off corners for a snug fit. Thickness: The five-inch depth is perfect for most fitted sheets. Comfort: Comprised of high-density, firm memory foam, this product offers the safe firmness your infant needs with cradling support to keep him or her comfortable. Durability: Although your infant will only be in his or her crib for a couple of short years, this mattress comes with a 10-year warranty thanks to its durable materials and excellent workmanship. Safety: This product is free from lead, phthalates, and it meets or exceeds state and federal flammability standards. What’s more, it is hypoallergenic, antimicrobial, and mite-proof. Age and Weight Limit: Although the maximum weight is not listed, the company mentions that the mattress is designed to transition to a toddler bed for years and years of use. My First Mattress was specially designed with the safety and comfort of your infant in mind. It offers up ultra-firm memory foam that cradles your infant just enough to keep him or her comfortable without compromising on safety. It comes with a removable plush cover that is 100% machine washable. 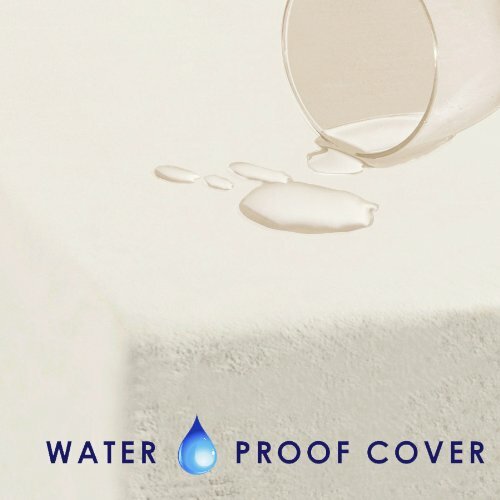 Because the cover is waterproof, it prevents the growth of mold and bacteria, as well. The product meets or exceeds all safety standards set forth by state and federal governments, all without the addition of harmful chemicals. The 10-year warranty gives you peace of mind, and the product is surprisingly affordable for the quality. Weighing in at only 11.5 pounds, this mattress is easy to manipulate and makes changing sheets or removing the cover a snap. Because My First Mattress is not dual-purpose, it does not feature a “softer” side for toddlers. Some children may find the sleeping surface too firm as they grow. Some buyers noted that the cover’s stitching starts to fray after several trips through the washing machine. Drying on a low setting and washing on delicate cycle can prevent this. A few parents claim that the mattress feels exceptionally firm – almost too firm. However, this is the recommendation for infants. For the most parts, parents and caregivers rave about the My First Mattress. Those who own expensive memory foam mattresses of their own (including Tempur-Pedic) claimed that they could not tell a difference between this mattress and their own. Many were surprised at the firmness, but felt that their infants slept wonderfully on the mattress despite this. Of course, this mattress is not dual-purpose, so there is no “softer” side for a toddler bed. A few parents were disappointed in this, but for the price of the mattress, they felt it was still a great bargain. Some buyers noted that there seemed to be a gap between the foam mattress itself and the crib. My First Mattress comes rolled up and tightly packaged for safe shipping, so you need to allow it a day or two to come to its full size before inserting it into the crib or toddler bed. What’s more, this particular mattress has squared edges, and utilizing fitted sheets with rounded corners can sometimes cause gaps as noted by some buyers. To avoid this, we recommend purchasing fitted sheets designed with squared pockets. Although only a handful of buyers said that the product emitted an odor at first, the majority of them noted that any offensive smell dissipated quickly, often within the first 24 hours. Choosing a mattress for your baby often turns out to be much more difficult than you first thought. However, you must consider things like a snug fit and firmness in order to keep your little one safe. My First Mattress is a fantastic and affordable solution when you need the perfect balance of safety and comfort. With its square design and foam that rivals the most expensive mattress companies out there, we recommend it to parents who want a great value for their dollar.